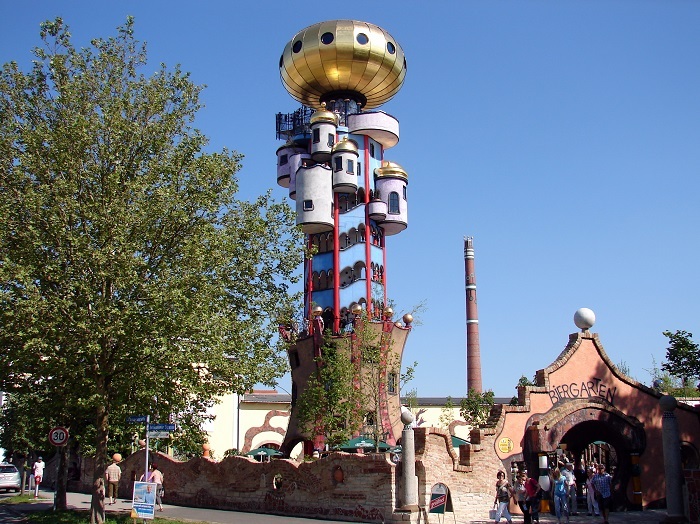 The Kuchlbauer Tower is an impressively unique observation tower which is part of the Kuchlbauer Brewery ground in the town of Abensberg, within the southeastern part of the Federal Republic of Germany. At first the tower was planned to be some 70 meters (230 feet) high, however, due to some reasons, the tower which we are able to see today is 34 meters (112 feet) above the surrounding. 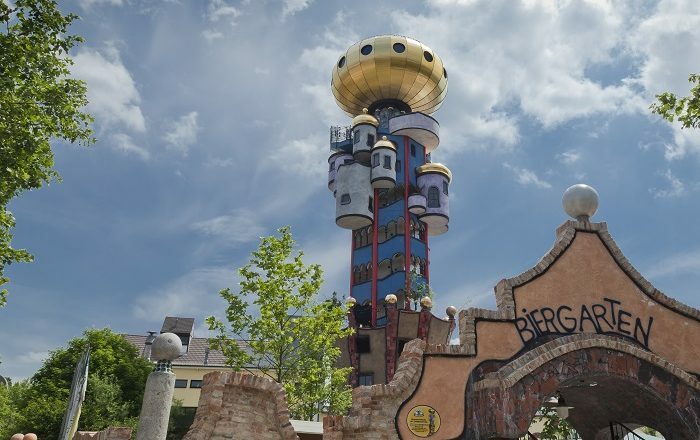 Designed at first by the prominent Austrian-born New Zealand artist, Friedensreich Hundertwasser, the tower was re-designed and planned by the Austrian architect Peter Pelikan. 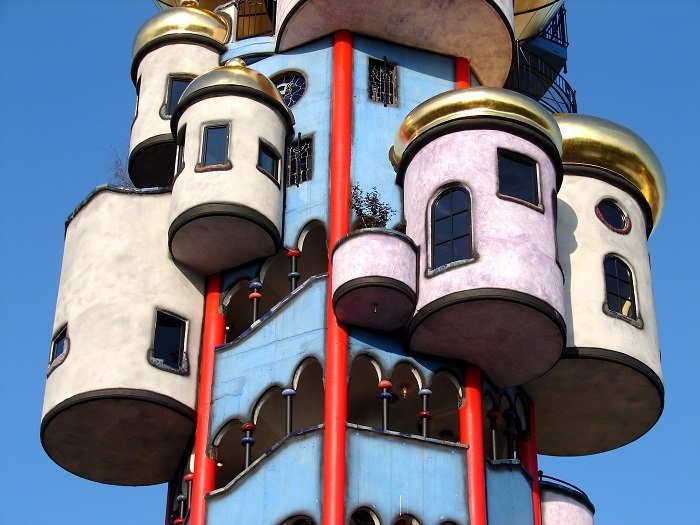 The Kuchlbauer Tower was built between April 2007 and August 2008, and officially opened to the general public in January 2010, allowing everyone visiting the brewery to be able to climb to the top and get a better glimpse of the surrounding. 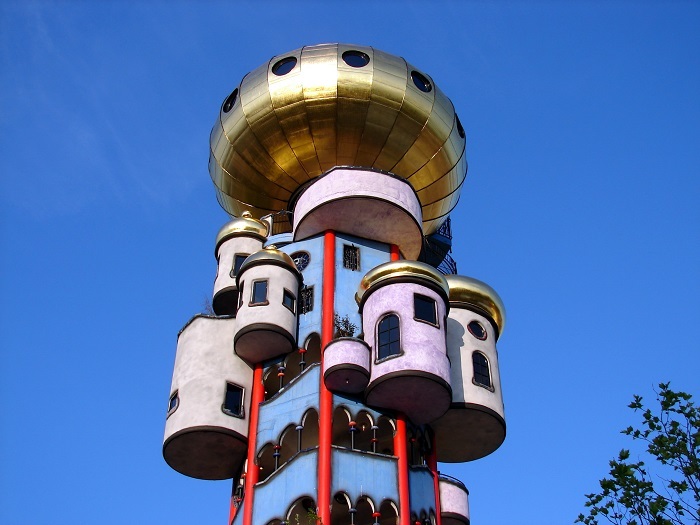 Still, the tower itself is as unique as Hundertwasser’s imagination, without straight lines, with more free flowing organic ones where the structure creates an unusual chimney-like structure which is topped by a large onion dome. 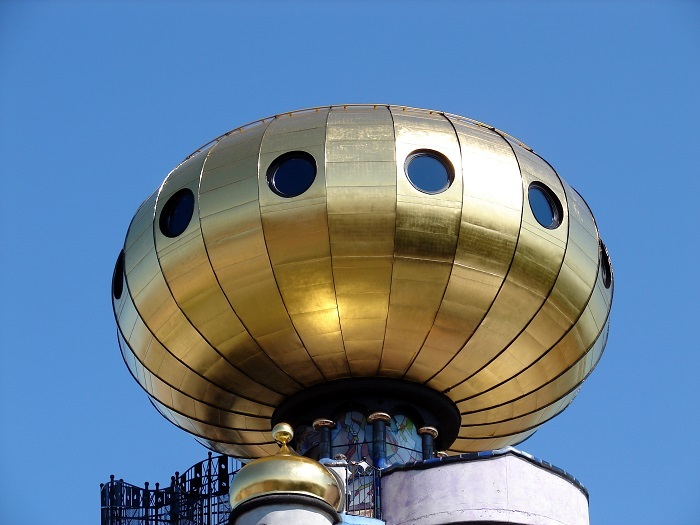 That gold plated dome is some 10 meters (33 feet) in diameter and it is estimated to weigh around 12 tons. 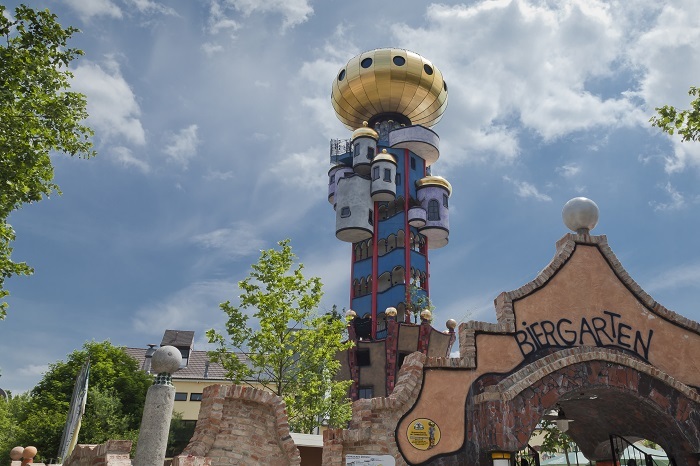 Unlike any other tall structure, the dancing windows, the wavy floors, and round shapes are paying homage to the Bavarian beer, as it was Kuchlbauer’s will who always wanted to add something artistic to his own brewery. 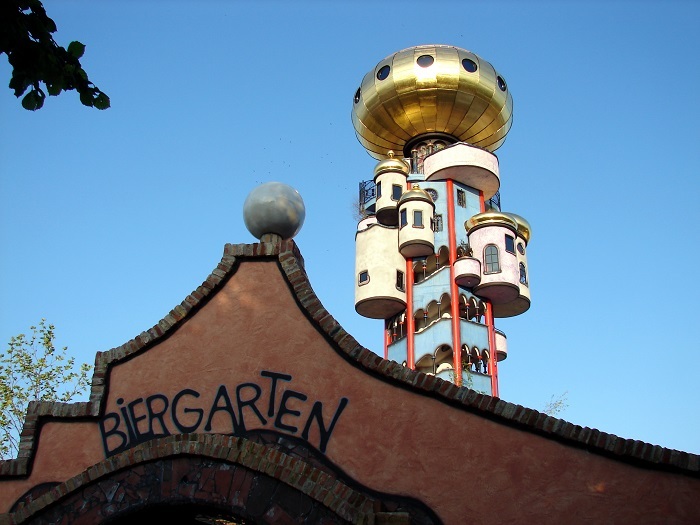 In conclusion, having a lot of symbolism in its construction, the Kuchlbauer Tower is definitely the artificial tree of knowledge that wants to show the beauty of the beer by presenting it through unusual artistic architecture.